Empress Earth Bagasse Products utilize what would commonly be a waste product from sugar production (residual sugar cane juice) to make a wide cariety of sustainable products. Since sugarcane is a renewable plant, the by-product is a great raw material to use for products including bowls, plates, clamshells, trays and platters. 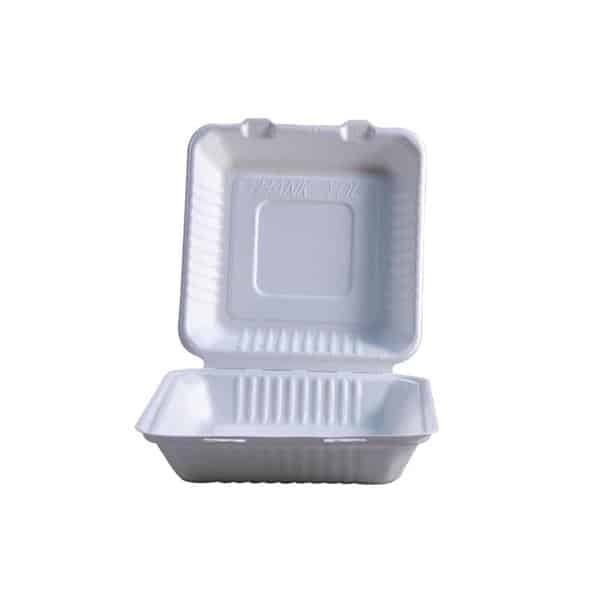 Bagasse products are pressed in a high heat, high pressure process. They are 100% compostable, heat tolerant and can even be put in the microwave or freezer. At Empress Products we understand the need for compostable products made from enviromentally friendly raw recources.